This boat was designed for the beginning builder. Some experience using tools is needed. 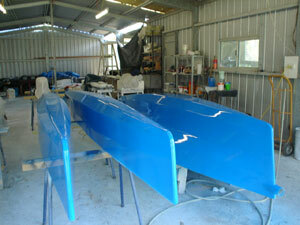 May be transported on a small box trailer, also beams and floats are demountable if required for car topping. The boat is sailed sitting on the side deck or trampoline with a standard rudder/tiller. Suitable for 1 or 2 crewmembers. 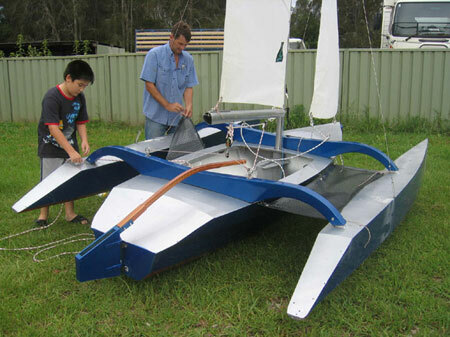 This boat built by Brett in Australia. 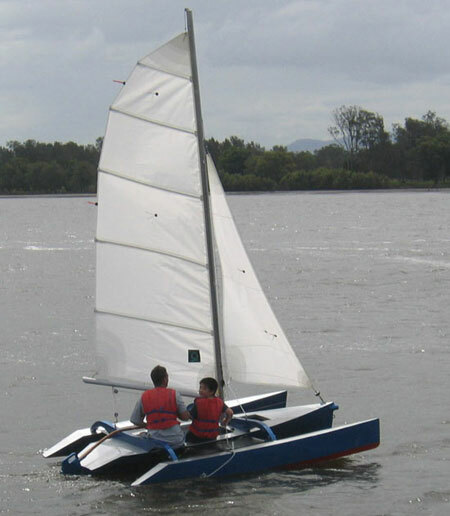 The boat is sailed sitting on the side deck or trampoline with a standard rudder/tiller. Suitable for 1 or 2 crewmembers. 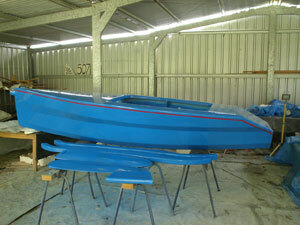 Construction: 4mm marine plywood - stitch and tape or fibreglass foam sandwich. Beams: Ply or foam and fibreglass. Plans: the full plan set is required if the you want to build this boat. It contains all the information and dimensions required. The plans are presented in PDF format. These can be printed on your home printer on A4 size paper or sent to a photo copier to enlarge to A3 size. Plans consist of 21 drawings in PDF format emailed within 24 hours. Full size paper templates: these are provided as PDF files that may be printed by a Plan printing Business. The plan printer must have a "continuous roll A0 plotter". The full size templates are only required if desired, all the dimensions required to build are included in the full plan set.